When we’re getting dressed and picking out a nice pair of shoes or boots to go with our outfits, the type of footwear best suited for driving is possibly the last thing on our minds – but it shouldn’t be. The shoes we’re wearing have a real and significant impact not just on our comfort but on how effectively we’re driving, and the wrong choices can exponentially increase the risk of accidents. In fact, some state authorities would prefer you drive barefoot than in highheels or flip-flops which can get stuck under the pedals and derail your control, while boots or shoes with too-thick soles make it difficult for you to gauge how much pressure you’re applying to your accelerator or brakes, risking misjudgement and risky driving. However, while driving barefoot is seen as a better alternative to driving with shoes detrimental to your control of your vehicle, your bare feet don’t give you the appropriate grip you’d need against the pedals, and may slip off. Meanwhile, for a specific subset of drivers, such as truck drivers and delivery personnel whose jobs involve off-loading heavy items and navigating tricky, wet or uneven terrain, additional safety features in their choice of footwear is crucial and in some cases made mandatory by the companies they work for. Take a look at our picks for the best safety boots for driving, from casual men and women’s moccasins to rugged heavy-duty work boots. For those in professions involving spending several hours on the road, maneuvering heavy vehicles and traversing up and down ramps and carrying heavy objects, these heavy-duty work boots are a good investment toward ensuring your safety on the job. 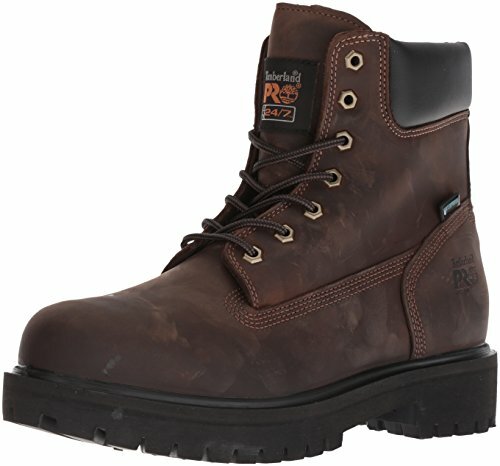 These attractive lace-up boots with the hexagonal eyelets and padded collar pack a lot of rugged protection underneath their classy leather exterior, steel toe caps minimizing the chances of injury from falling objects on your feet, with a nylon shock-diffusing plate integrated into the boots to absorb impact when you’re climbing in and out of your vehicle and hefting up heavy equipment. In fact, Timberland’s patented PRO 24/7 Comfort Suspension System gives you all-around comfort and alleviates foot fatigue, contoured and structured to support the foot’s natural arch and to distribute pressure and shock as you stand, move and work, letting you stay on your feet at your worksite or comfortably handle your vehicle for hours on end without risking improper posture and sprains. Breathable mesh also adds to your comfort, with anti-microbial treatment to prevent the culmination of odors, the boots designed to bypass the breaking-in period and be ideal for wear straight out of the box. The waterproof uppers with seam-sealed leather are resistant to wear and tear, allowing you to handle wet terrain without any moisture getting into your shoes or damaging them, with rugged rubber outsoles that give you the appropriate grip on tricky, slippery or uneven terrain as well as for placing over your vehicle’s pedals without slipping or catching on them. The boots are available in five classic and stylish variations. 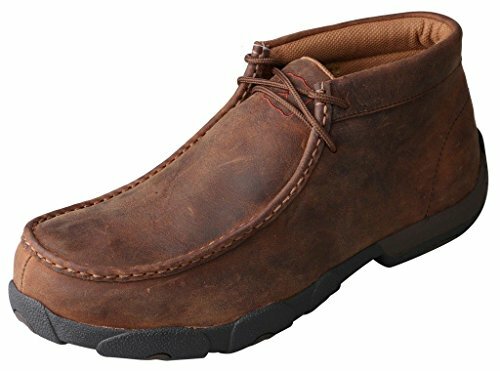 Oozing smart style and high-functioning protection, these boots feature the 6-inch Moc Toe, with the U-shaped toe design, favored by construction workers and worksites involving some heavy-lifting. Rugged in functionality but still lightweight enough to have on throughout the day and especially when operating the pedals of a truck or bus, these leather boots come with a steel shank supported foot board to give your feet the appropriate arch support and stability, with an oil and water resistant Rubberlon outsole making it great for use in slippery and wet conditions. Removable insoles also let you adjust the boots to your comfort and preference, the padded collar adding additional support. The oil and wax treated, full-grain leather of the upper is also highly durable and water-resistant, lined inside with mesh to wick moisture away, controlling odors and accumulation of microbial contaminants. 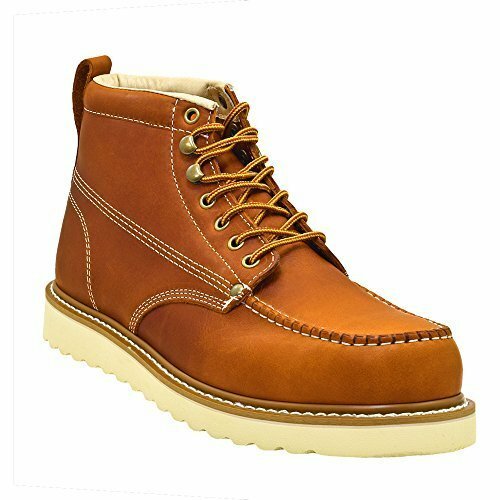 The boots are sturdily stitched together with trademarked Goodyear Welt Construction, giving you an attractive and highly durable pair of work boots to last you many years of use, available in five color options. Of course, rugged work boots aren’t the practical choice if you’re the average car owner, but safety boots can still make a huge difference to how well and safely you can control your vehicle. We love the casual look of this distressed leather pair, but most of all we love the rugged rubber outsole that not only provides the grip needed to properly situate over pedals, but is also just the right thickness to be effective over uneven terrain without reducing your ability to gauge how much pressure you’re putting on your brakes or accelerators while driving. The boots also don’t restrict your ankles, giving you better flexibility in movement as you operate your vehicle’s pedals, compared to the restrictiveness of tighter or higher boots and high heels, with integrated steel toe caps for that extra measure of safety, ideal for use at some worksites where falling object hazards might be a concern. The PVC midsole and contoured footbed work to absorb shock and support your arch so you can be comfortable on your feet all day, the footbed both moisture-wicking and anti-microbial to combat odors and germs. Available in two colors, these boots can be found in roomier sizes for those with wider feet. 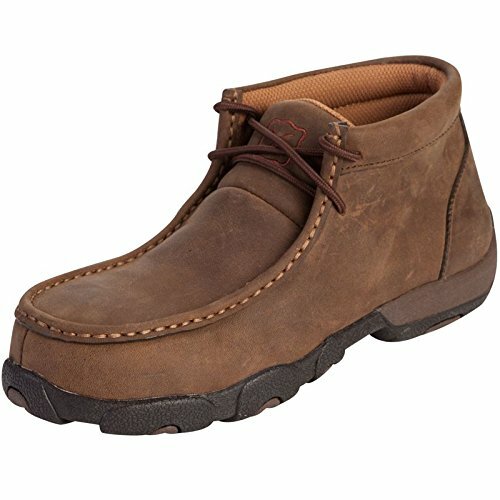 The integrated metatarsal guard of these unassuming but classy leather moccasins are a huge plus, protecting the bones connecting your ankle to your toes in conjunction with steel toe caps for all-around protection against potential injuries from falling objects. Perfect to pair up both with casual attire and work clothes, the slip-resistant rubber outsoles are not only great for maneuvering the outdoors but also for giving you the appropriate control when using your pedals, knowing when you’re applying too much force. The collar of the boots is just high enough not to restrict your ankles and their movement, so you can freely and comfortably use your pedals without restriction, moisture-wicking and arch-supporting Twisted X Technology Cowboy Comfort footbeds keeping you comfortable and preventing strain or posture-related aches and pains through long hours of wear.